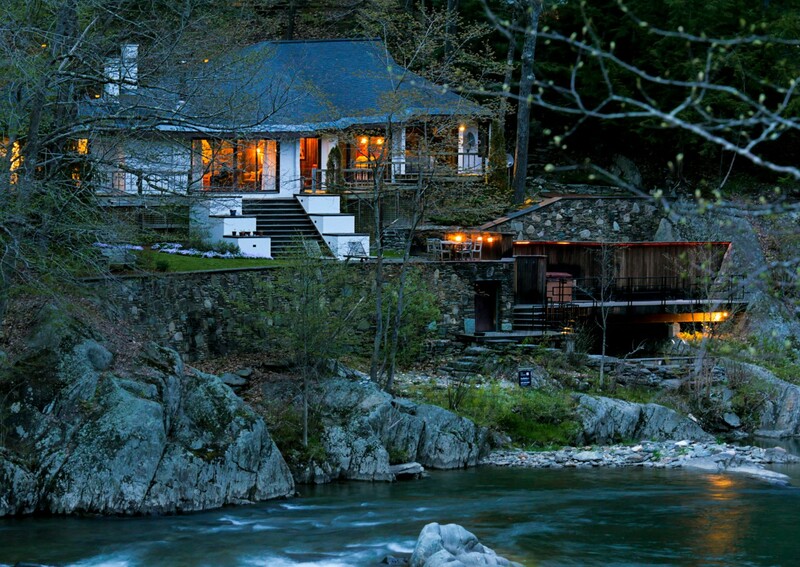 About the property: MAD RIVER RETREAT This magical property sits at the confluence of the Mad and Winooski Rivers and combines the amenities of a world class spa, with a comfortable living environment. This two home complex includes the River House with 2 large bedrooms opening onto patios that cascade to the river and 2 bunk bedrooms. Living room, dining and kitchen all open to patios as well. Outdoor living at its finest, patios host hot tub and natural soaking pool. The Caretakers Cottage is a charming 2 bedroom home with 2 car garage, spa, sauna and steam room all built into the ledge. Find out more about the property by clicking here. 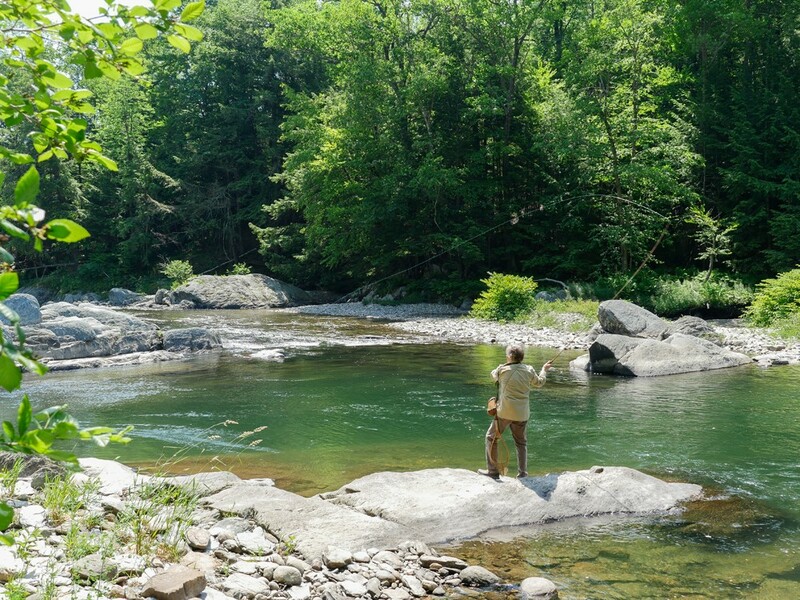 As a fly fisherman and nature lover, Poet Jerry Johnson has written a beautiful poem that really embraces all the wonderful things about this property. Enjoy! Jerry Johnson lives in a restored century-old schoolhouse on a farm in Vermont’s fabled Northeast Kingdom, and the stimulus for much of his work stems from the natural beauty of this Vermont region. Jerry taught for 29 years at the middle school, high school and college levels. He is a retired professor from Fitchburg State University in Massachusetts where he was a finalist for the school’s excellence in teaching award. In addition, he has been a civil engineer, tennis pro, carpenter, artist, freelance writer and editor. Jerry is a graduate of the University of Massachusetts at Amherst where he was honored with the Eastern College Athletic Conference Award as the school’s top scholar-athlete. He received his master’s degree in civil engineering from Purdue University. Jerry has been ranked in the Top 10 in New England tennis. He’s nearly as passionate about tennis as he is about poetry. 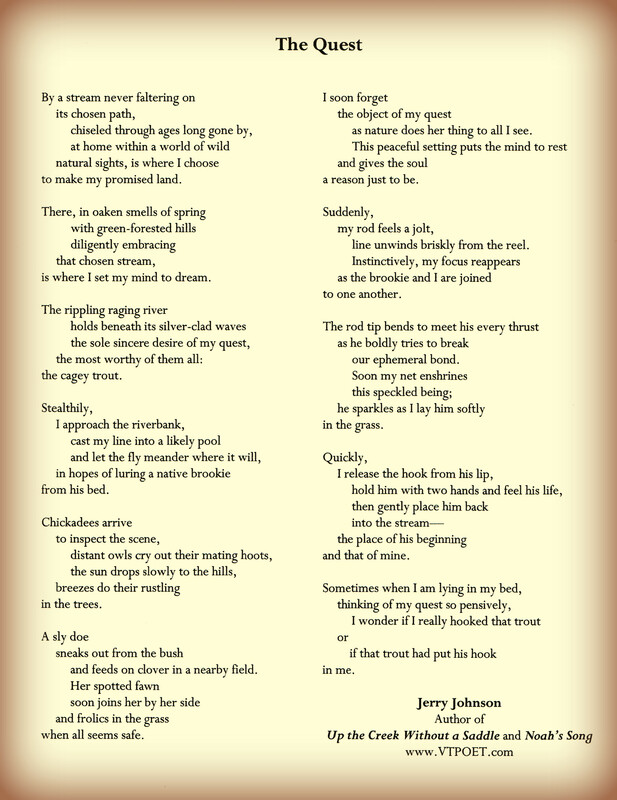 Here is a sap bucket cover and poem from the fly fisherman, Jerry Johnson, vtpoet.com who was fishing in one of the photos I took.